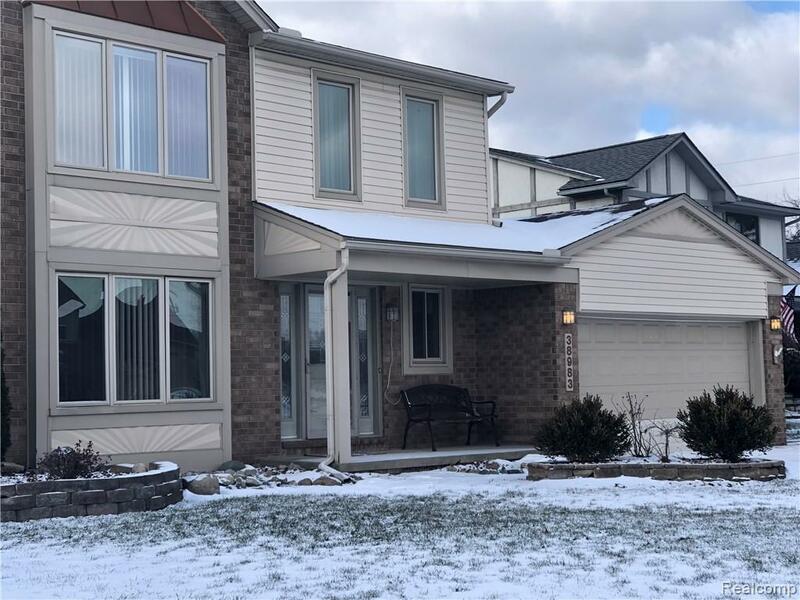 In a very preferred Sterling Heights area this 2 story house is located south of 17 Mile Rd and West of Ryan just minutes away from shopping centers and local freeways, built 1987. First floor laundry rm, big kit. furnished with an island, plenty of eating space which is open to the family rm. High quality Hardwood floors in both living and family rooms. Living rm could be used and a study rm or an additional bdrm. Family rm is just the right size you wish to have with the cathedral ceiling, gas fireplace, recessed lights. Boxed window's throughout. Master bdrm has a full bath and a walk in closet. The 2nd bdrm has a walk in closet as well. Fans in all bdrms, family and living rm. Partially fin. basement. Roof is around 9 yrs old, furnace & air conditioning around 7 yrs old, new hot water tank & sump pump. Garage inside walls are tiled half way up for easy cleaning. Fenced yard with kids playground, spacious concrete patio.